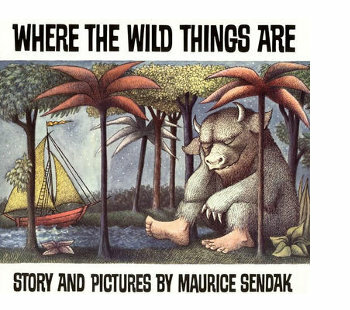 One of my many happy memories of NYC was getting to go to the 35th birthday party for Where the Wild Things Are. It was held in the Rainbow Room, and there were many luminaries in the room. I loved it that we were all there to celebrate a singular book, but a book that inspired so many others (books and people). WTWTA is, indeed, still hot. I’d forgotten that. My own first two books came out in 1963 and so I have been publishing books every year since. Still going strong. Nice to think I share an anniversary with WTWTA.